Trivett Estate from Grundy Va. Preview noon until 2:00 Saturday October 6th and the morning of the auction at 11:30 am. Absentee and phone bids accepted. This was a very upscale home with some antique's and collectables. 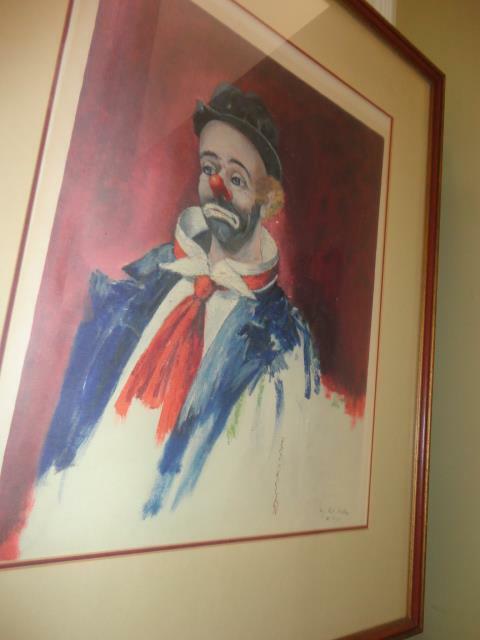 Signed prints by Red Skelton- Duke Ellington-Tony Bennet-Dinah Shore and more, large collection of Silver-plate including some massive pieces, Murano glass, Fine china and glass, tambour desk, Cherry bedroom and dining room furniture by major makers, Formal mahogany furniture, French style sofas and chairs, Fine oil paintings, Italian porcelain, Fine crystal. Doris Day mink, 1930’s cigarette machine, walnut occasional tables, Fine carpets, cigar humidor, julep cups, massive silver-plate punch bowl, Large Asian carving, twin pineapple beds, Italian jewelry box, large set of Hartman luggage, some Fenton, Formal curved mahogany corner cupboards, Inlaid bookcase, assorted decorative books, high poster bed, fine mirrors, massive two door safe with combination, framed Asian fan, room size carpets, many sets of fine china, some Nippon, crystal lamps, iron porch furniture, many collectables, and much more to be added to this listing soon. The following is a link to some photos taken at the house before it was moved. Detailed photos are coming soon but this is a sample.